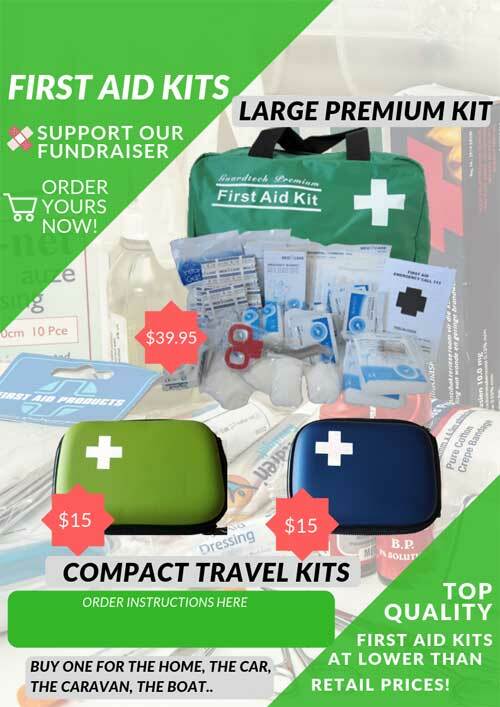 Fundraise with first aid kits! 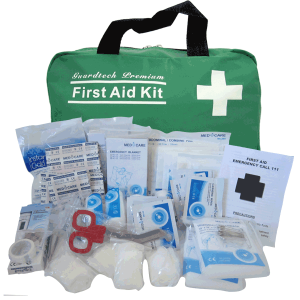 Several Different First Aid Kits to Choose From. Looking for a fundraising product which stands out from the rest? 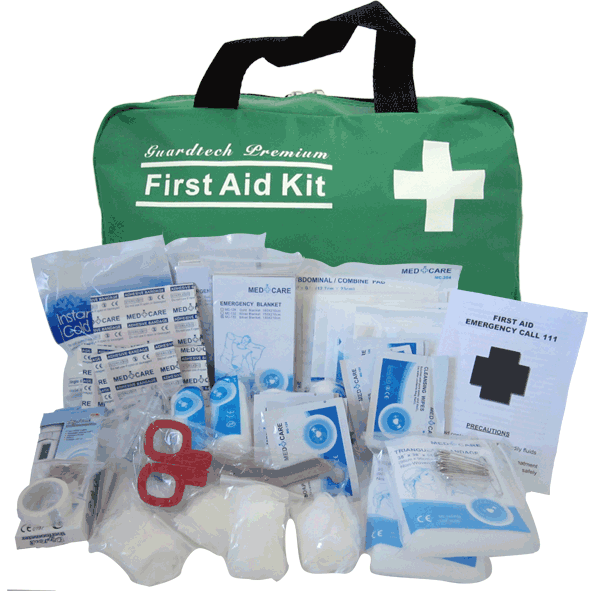 All individuals and organizations need first aid kits. 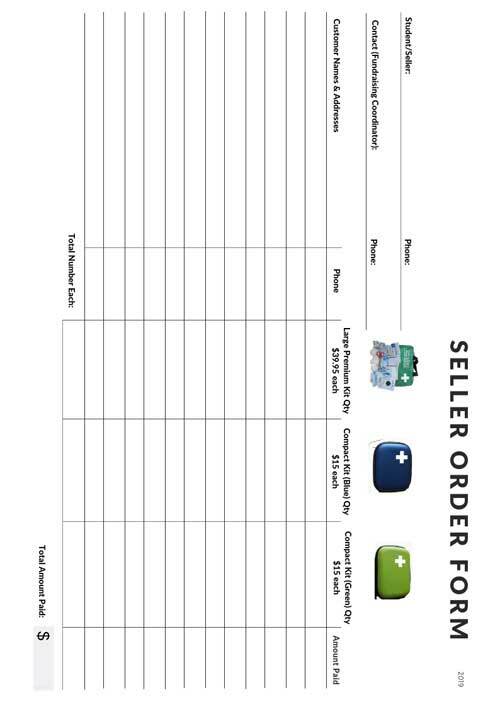 Take your profits to the next level with this healthy fundraising option. 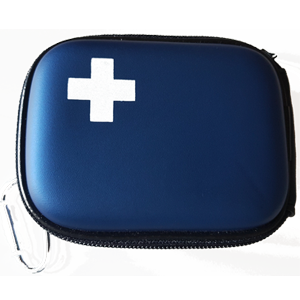 We offer two different types of first aid kit for your fundraiser. 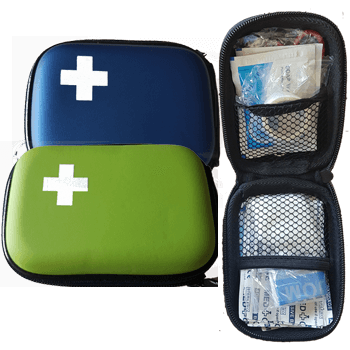 A large premium first aid kit/comprehensive vehicle first aid kit, and a nifty hard shell compact first aid kit. 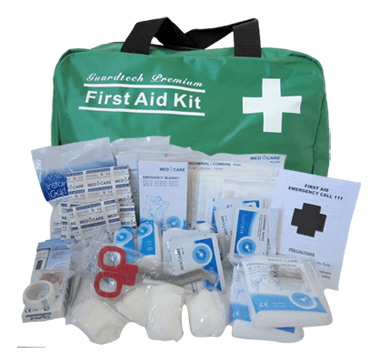 These are two of our best selling first aid kits which you can be sure will easily help you achieve your fundraising goals . 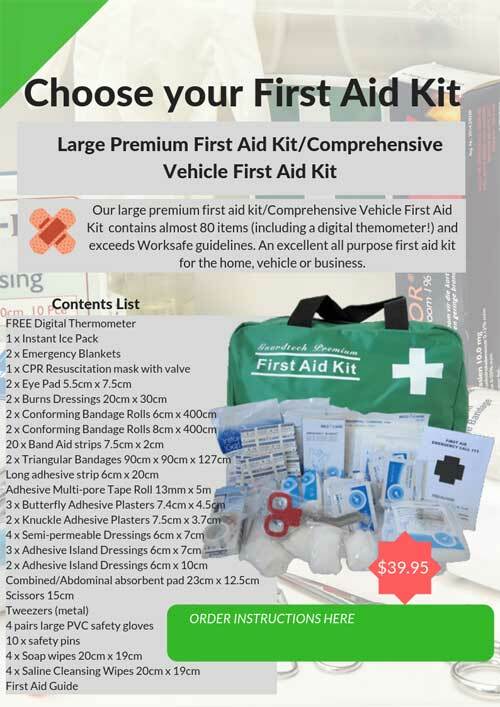 Large Premium First Aid Kit /Comprehensive Vehicle Kit. 1. Decide which kits you would like to sell. Most groups sell both types, but you can also choose to sell just one type if you prefer. 2. Decide how you would like to run your fundraiser. Option 1: Download the free brochures and order forms, customize with your organization’s information (we can help) and print as many as you need. Order samples and then go take orders. Option 2 (best): Download the free brochures and order forms, customize with your organization’s information (we can help) and print as many as you need. Pre-order as many kits as you expect to sell then go take orders. 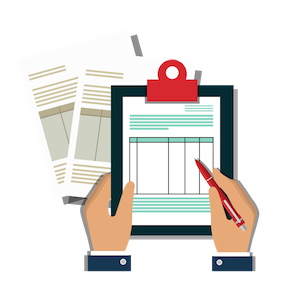 We supply a range of customized order forms and full colour sales flyers and brochures which you can print and distribute to your sellers. Thanks to Andrew and the team at Fundraising First Aid. This is a great fundraiser for many reasons. On top of all these reasons Andrew is very helpful and the service is fantastic!!! Very easy, fast and super successful!! The Hunterville Hockey Club were very pleased to be able fundraise this way for a Second year! Rosebank Primary School in Balclutha ran this fundraiser earlier in the year. We found communication with Andrew fantastic and the first aid kits were well received by all. They are an excellent product and are jam packed with everything you need. Ideal for the car, house or boat. This was a super easy fundraiser to manage, and we had a really overwhelming response from our parent community. The Fundraising First Aid team made it a straightforward process, and the quality of the kits is high and really thoroughly stocked with everything needed. We raised hundreds of dollars for our kindergarten with very little effort involved. I have run Andrew’s First Aid Kit fundraiser for several years for the Kaiwaka Sports Association. Although Kaiwaka is a small town, I’ve had a good response from our community each year. The quality of the kits is high and they are extensively stocked. Andrew is very easy to work with, and we raised several hundred dollars each time we run this fundraiser. Highly recommended! Methven Playcentre has sold two rounds of Fundraising First Aid kits through Andrew now. As far as fundraisers go it’s easy to run, communication with Andrew and the quality of the product is excellent. We have local business coming back wanting more! Can’t recommend highly enough. I used Fundraising First Aid when fundraising for the MIS Japan exchange and found this an easy and stress free way to fundraise. 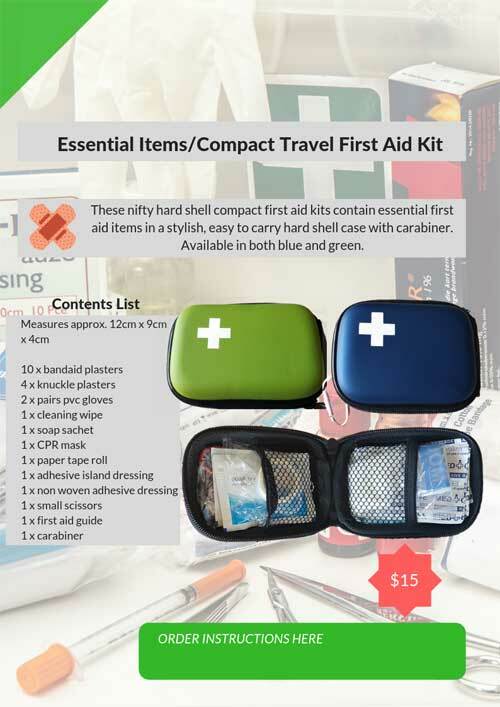 Everyone needs a good first aid kit so they practically sell themselves. Had so many people comment on how well stocked the kits were and ordering seconds! Andrew was great to deal with as well… and quick delivery! Would definitely recommend. 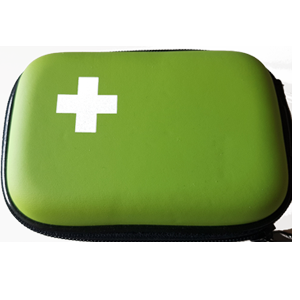 Andrew and his team have been so helpful in our journey to brand the First Aid Kits we provide free of charge to our all our In-home Educators. Great quality and friendly assistance have made it a great on-going venture. Thanks so much!